I kicked off my new schedule (see previous post) with a 3-mile run today. Or should I say “run” because I walked part of it? Again, it’s amazing how much fitness can degrade even when one is still running occasionally. The good news is that I’m back to taking care of myself in terms of exercise. My plan is to get in a 3 mile run with intervals either tomorrow or Thursday, then do a longer run on Friday. However, given that I’m just getting back into running, I might need to reduce my mileage this week to ensure I don’t get injured — which is fine. Gearing up for the Santa Run in just 2 months! Well, managed to finish another round of the Corporate Challenge. Can’t say it was particularly good… after effectively not working out between the Bloomberg race and this one, I felt pretty out of shape and my time of over 29 minutes (for a 3.5 mile course) reflected that. Hope I have a chance to rebuild in the next few weeks. Last year, I ran the 5K in 25:00 (I thought it was shorter!). Hoping to improve on that time this year, given my training for the Bloomberg Square Mile. Haven’t been training much since then, however, so I’ve got to kick it in gear! Will be doing a bunch of 4-mile runs this week once I get back to SF from my eclipse trip. 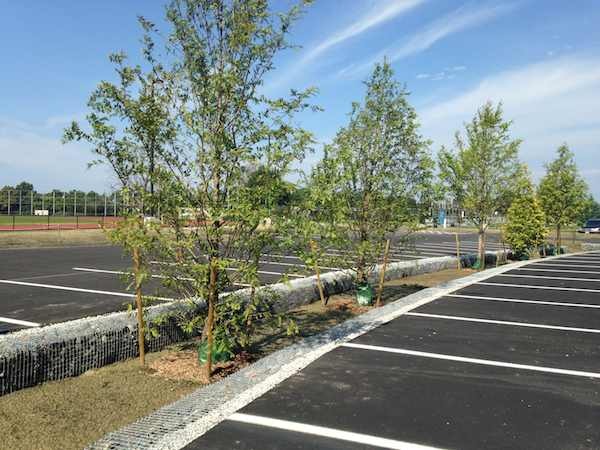 This summer, the university has been renovating the parking area near the track. While I was away from running, they planted new trees, but they yet haven’t filled the root areas with dirt. 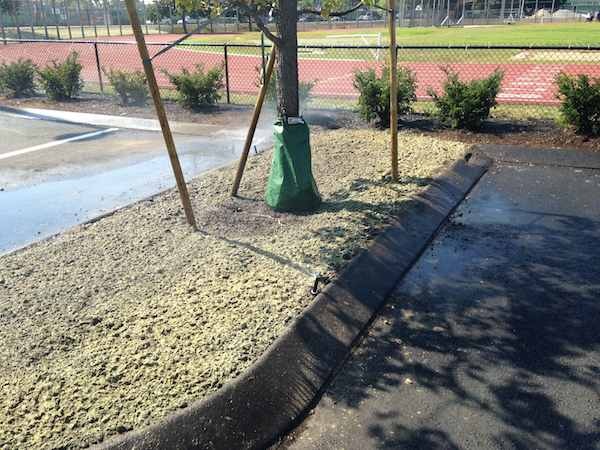 They’ve also started to sprinkler the “grass” (which seems like synthetic wood chips for now, likely surrounding seeds?) aggressively. I was not above getting sprinkled on the way back. I did 2 miles of intervals today, my standard 0.25 mile intervals. My target pace for each quarter mile is 1:30; I’m still a bit above that. I was hitting max HR during the intervals, so I feel pretty good about that.